In celebration of women’s month, we look at the woman who created life changing opportunities Dr. Annique Theron and her investigation on Rooibos tea properties. Generations of South Africans have been enjoying the natural sweet and revitalising taste of Rooibos since its discovery by botanists in 1772. Little did they realise the powerful and natural healing properties of this rare and unique plant from the cold, windy, south-western tip of Africa. Dr. Annique Theron discovered the natural healing powers of Rooibos when, one sunny April morning in 1968, she warmed her allergic baby’s bottle with warm Rooibos tea. She was amazed at the instant calming, soothing and healing effect it had on her fourteen month old baby daughter, Lorinda. She set out to investigate this tea’s healing properties and found she stood alone in her discovery of its anti-allergic qualities. However, she soon found hundreds of mothers with children who suffered from similar problems varying from food allergies to eczema, insomnia and hyperactivity in their babies and young children. 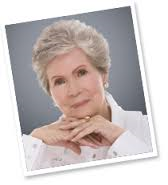 In 1974 Annique Theron published her findings about allergies in children and adults in her book: “Allergies: An Amazing Discovery”. In the 1980’s Japanese and American scientists found a powerful and stable antioxidant called super-oxide dismutase in Rooibos tea. In 1995 Infruitec, a South African research company, as well as Dr Charlene Marais of the University of the Free State, found and verified that Rooibos tea did indeed have the following properties: • Anti-allergic; • Antioxidant; • Anti-bacterial; • Anti-inflammatory; and • Anti-viral; • No caffeine and very • Anti-spasmodic; low tannin from pure • Anti-ageing; Rooibos leaves. Rooibos tea is enjoying increasing popularity around the world. Because Rooibos tea is low in tannin, it won’t deplete baby’s natural iron reserves during pregnancy or feeding while the protein absorption and metabolism remain undisturbed. It also contains calcium to ensure normal development of teeth, bones and the nervous system, as well as magnesium and zinc for healthy skin and hair. Because Annique’s Rooibos tea has a natural sweet taste there is no need to add sugar or honey to baby bottles. Parents love it too. Annique only sells Super Export Grade Rooibos tea which contains at least 80% Rooibos leaves. Some of the Rooibos tea found on Supermarket shelves contain less than 20% leaves. This is critical since the active ingredients in Rooibos are essentially found in the leaves not the sticks! Annique receives two gold medals for the formulation of Annique Rooibos products and is the winner of the World Intellectual Property Association (WIPO), International Woman Inventor of 1997 award in Geneva, Switzerland.